Posted on July 28, 2017 by Emily Allbon. Christianah Babajide, one of Lawbore’s legal journalists, is currently studying at the City Law School. 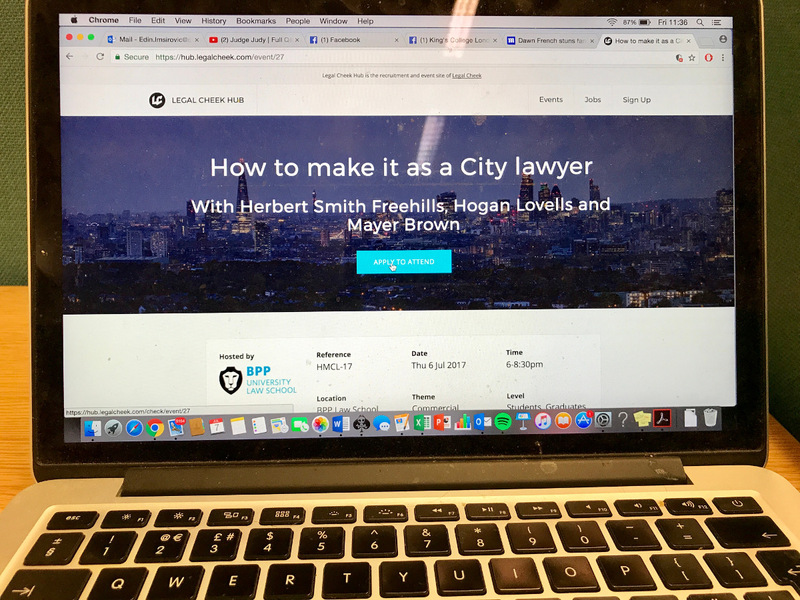 Christianah is the Editor-in-Chief of City University Law Society Blog and has written for Legal Cheek, LawStudentHelp , LawCareers.Net and TheStudentRoom. In this piece, she reports back on a Legal Cheek event. 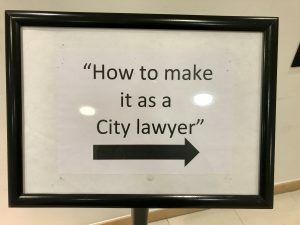 On Thursday 6th July, Legal Cheek hosted City lawyers, lecturers and diversity organisations for an evening of careers advice and networking. 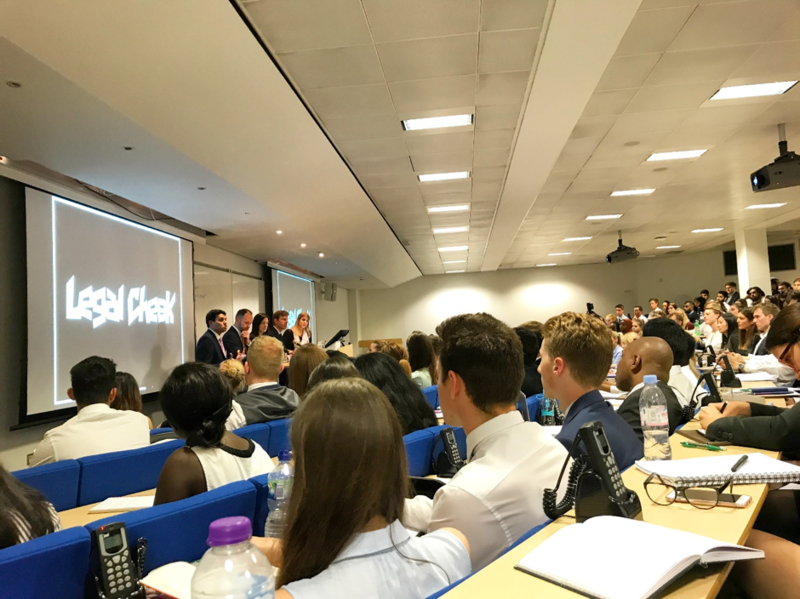 The well-attended event took place at BPP University Law School in Holborn, chaired by Legal Cheek’s Features Editor Katie King. With exams well and truly over, over 250 aspiring lawyers flocked to the question-time themed event to discover how to make it as a big shot City lawyer. The aim of the event was to inform students from BAME backgrounds of the key skills needed to become a corporate solicitor whilst offering general application advice. With more than a fifth of new solicitors being black and minority ethnic (BME), the legal profession should be proud of its new genetic makeup. Organisations like NOTICED, Prime, Aspiring Solicitors and Rare Recruitment connect exceptional people from diverse backgrounds with opportunities in the legal profession. City firms are introduced to an untapped, diverse talent pool of competent young people which cater to their diverse client base. There has never been a better time to enter the legal profession from an ethnic minority background. The lawyers present each showed testament to this; state school-educated Hutton secured a training contract with Hogan Lovells after studying at the University of Cambridge. Upon securing a place at a top law school in India, Shukla made it to Herbert Smith Freehill’s London office and is now an Associate and Co-Chairs the UK’s diversity network: NOTICED. Sturt worked as a civil engineer for six years before she switched to Law and now works in Mayer Brown’s Finance and Banking Department. The backgrounds of the four panellists communicated that a training contract at a City firm can be achieved from a range of different backgrounds; be it state-schooled, a non-Russell Group university, coming from a BAME or STEM background – it is still possible to climb up the corporate ladder. 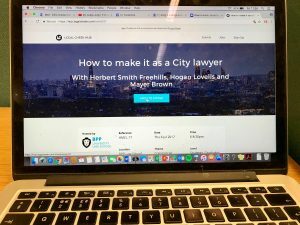 And with many City firms adopting a ‘CV blind’ recruitment process that leaves interviewers in the dark about candidate’s educational backgrounds; the legal profession is a step closer to achieving meritocracy by removing bias and allowing recruiters to focus solely on an individual’s qualities and responses. After introductions, the event kicked off with useful application tips and advice on how to approach work experience. During vacation scheme applications, they advised showing the graduate recruitment more than just theoretical knowledge of the law. The panelists emphasised competition is fierce with recruiters dealing with thousands, of applications each year, for training contract spaces. Put yourself in the shoes of the person who will assess you; what will differentiate you from the other 3,500 applicants? Hutton, who sits on Hogan Lovells graduate recruitment team agreed it was important for applicants to be authentic and show their personality. Personality can be demonstrated through other experiences, besides vacation schemes, such as law fairs, careers events and workshops organised by the student law society or careers service. All of this will demonstrate your research and commitment for a career in Law. Any law student or legal professional worth their salt knows commercial awareness is prized by graduate recruiters across the board. The panelists emphasised law firms operate as businesses ergo desire applicants who have shown an interest in the business world; awareness of the state of the legal market and stays on top of the technological developments that are transforming the legal profession. Commercial awareness is an impressive skill that can set you apart from other applicants. But why is it so important? Whenever a commercial deal is agreed, commercial lawyers play a key role in drafting and negotiating transaction documents and managing deals, using both their legal knowledge and their market awareness. If one wants to be ahead of their peers and competitors, commercial awareness is a must. When it comes to showing an interest and aptitude in the law, the panel highlighted the need to gain experience and get involved in extracurricular activities— albeit not necessarily linked to legal practice. They advised students to think outside the box by doing some pro bono or charity work in an area of interest or even seeking a part-time job to gain transferable skills. Radcliffe, who worked for an advertisement and marketing agency for months, encouraged students to work within a big City office or a business, to help strengthen transferable business knowledge and client interaction skills firms are known to be impressed by. As a law student, it’s always gratifying and certainly reassuring to meet leading lawyers in their fields, who have survived the LLB/GDL/LPC course, been there, done that and went on to reap the rewards of all their hard work. It is a comforting thought to know that there is light at the end of the tunnel after all. Despite the panelists addressing implications of Brexit on the legal profession and supply of legal services; one thing is clear – no matter what happens, the legal sector will continue to evolve and adapt to changes in our organic society. Hogan Lovells – Chris Hutton: Get out there and meet lawyers, there is no better preparation. Herbert Smith Freehills – Siddhartha Shukla: Five qualities that make a good corporate lawyer. Mayer Brown – Emma Sturt: An engineering graduates’ journey into law. BPP’s LPC Lecturer – Charlie Radcliffe: Law firms are not looking for ‘the polished, finished article. Thanks to Christianah Babajide, for this helpful review of this panel event.